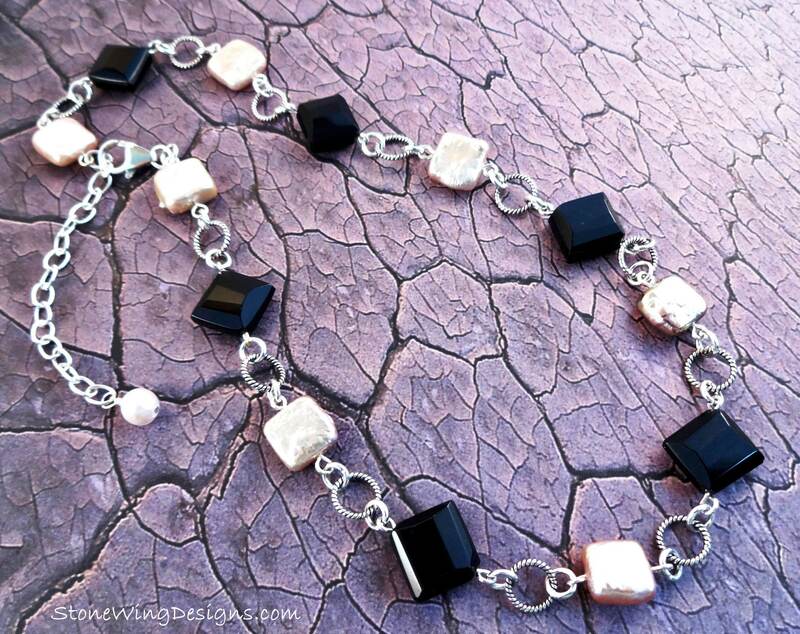 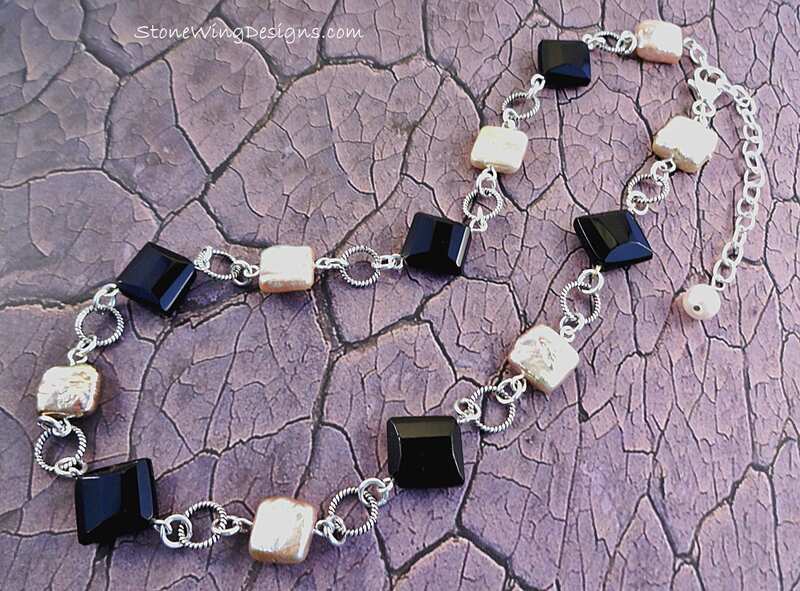 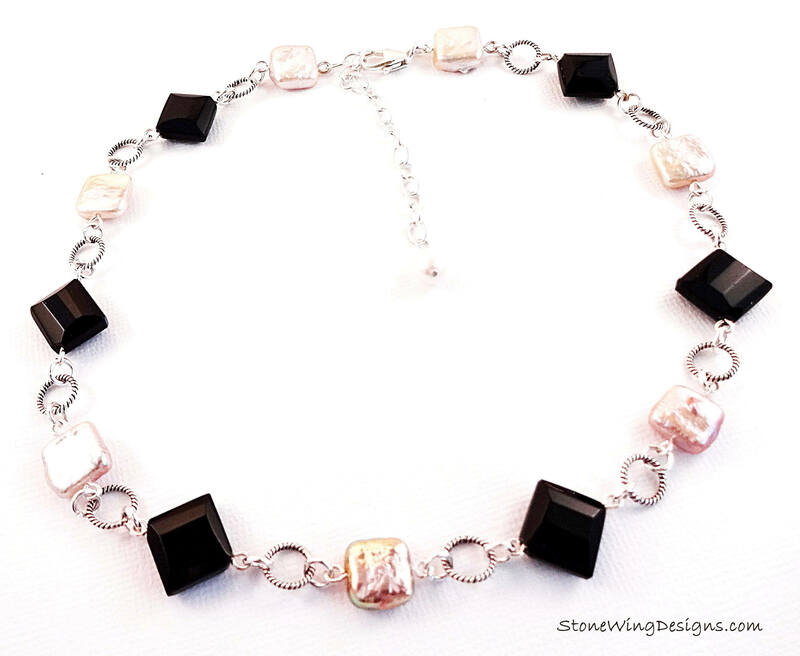 This one of a kind necklace features square faceted Black Onyx beads that are corner drilled. 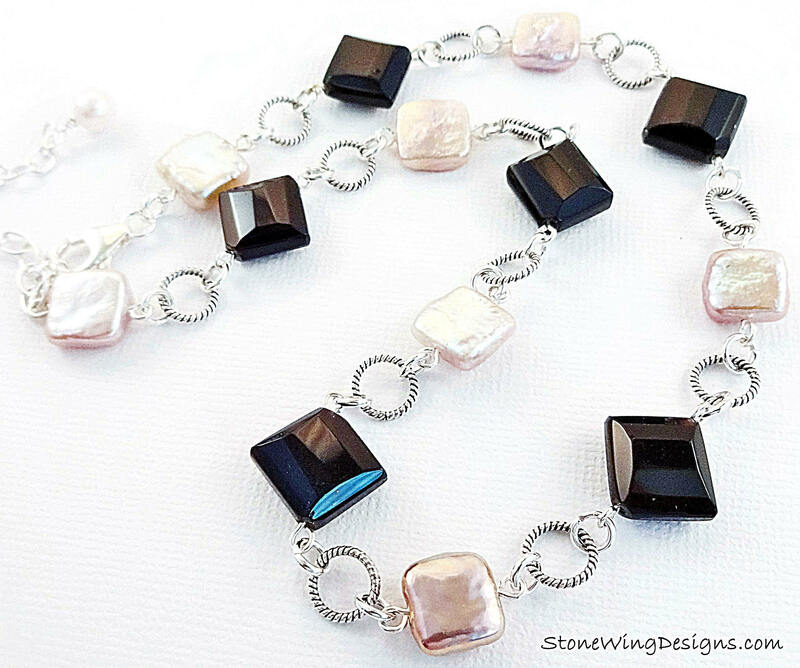 Linked together with Sterling Silver Textured jump rings are square Freshwater Pearls in a luminous white. 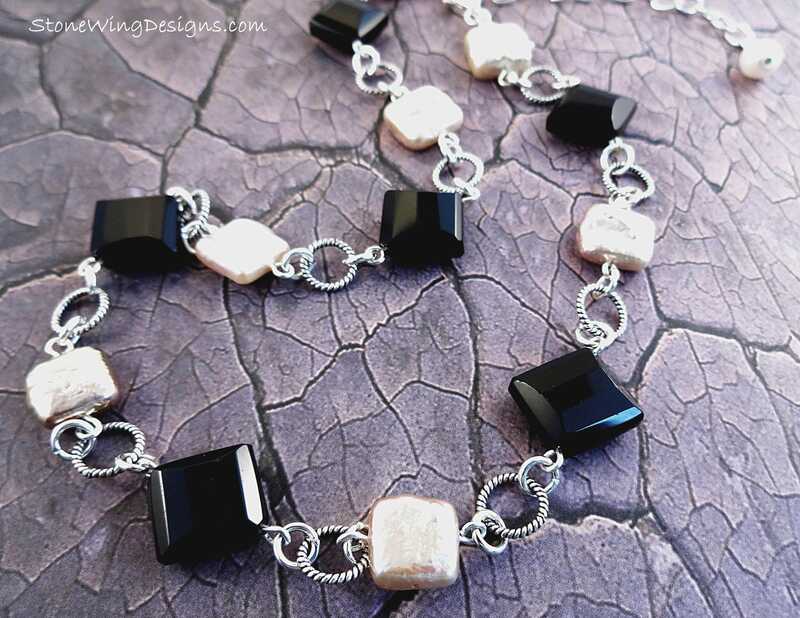 Black and White for the ultimate in versatility - this is an exceptional, quality piece of jewelry that you'll be able to pass down to your children. 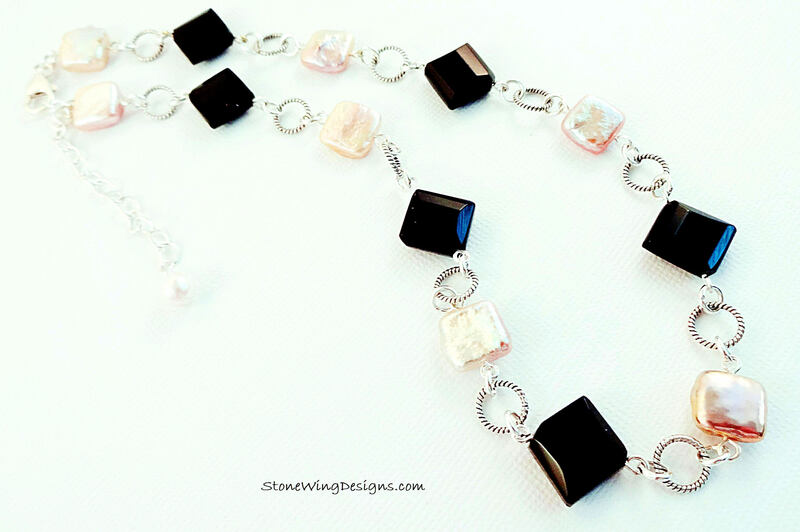 A length of Sterling Silver cable chin makes this necklace adjustable from 18 to 20 inches long. 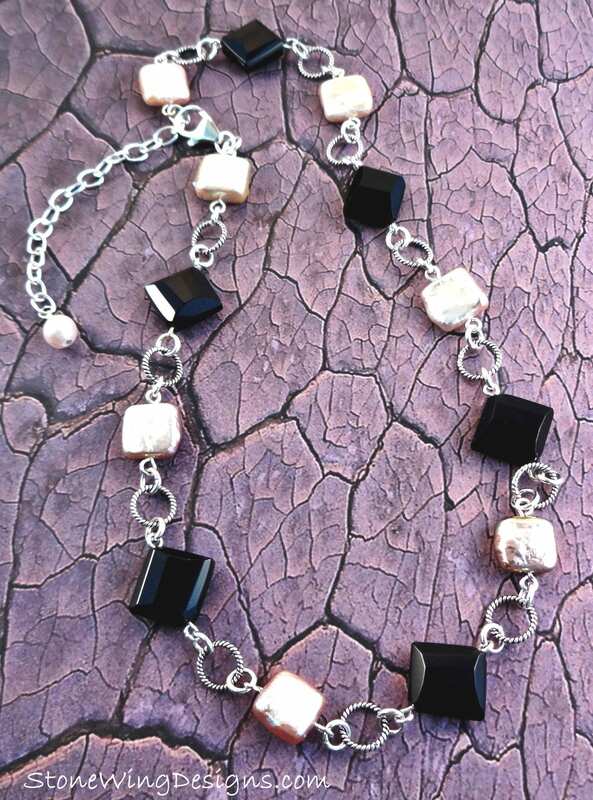 Message me if you need a shorter size and I'll be happy to make the adjustment prior to shipping.